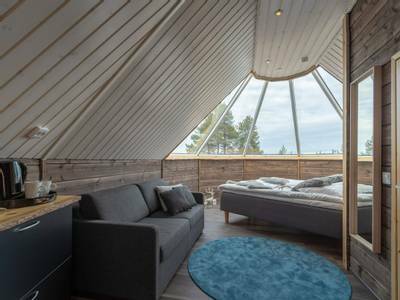 Wilderness Hotel Inari is just in the most wonderful location on the shores of Lake Inari. 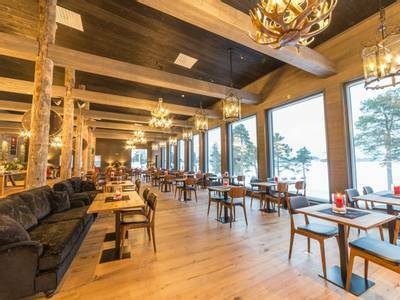 In a recent meeting with Mari, one of the owners, we were looking at the views of the forest and lake from the vast panoramic windows in the restaurant. Mari said that she had been coveting that view for years and we are thrilled that our guests now to share it too! 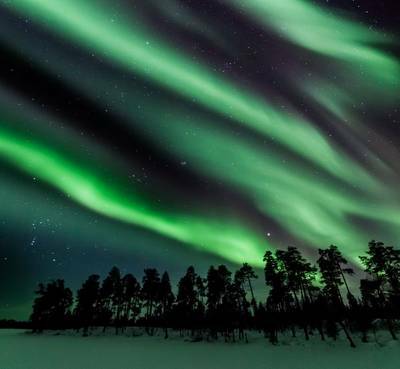 The location is far from any light pollution and in a wilderness location, providing exceptional Aurora potential and a genuine escape from the everyday. 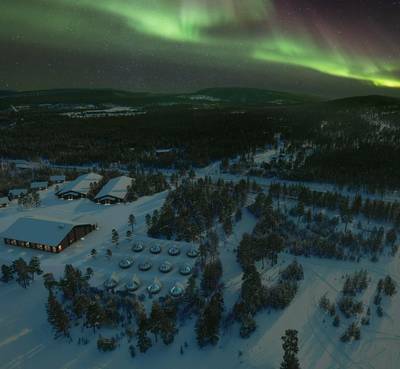 Wilderness Hotel Inari sits in one of the most spectacular Finnish locations, right on the shores of Lake Inari and in prime Aurora viewing territory. 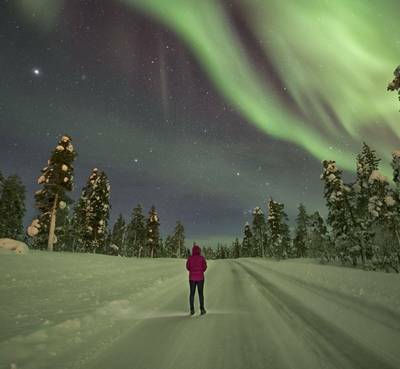 During your four-night break, you’ll celebrate the New Year, try amazing winter-based activities and of course, go hunting for the Northern Lights. 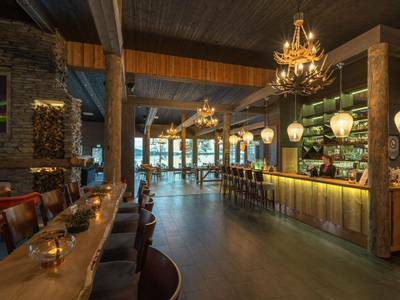 On the shores of Lake Inari, in the remote wilderness of Northern Finland, sits Wilderness Hotel Inari. 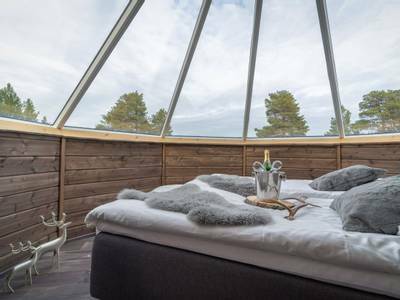 With a breath-taking location, wonderful rooms and cabins, elegant décor and a restaurant with views to die for, we can think of few places that would offer a better New Year holiday this winter. 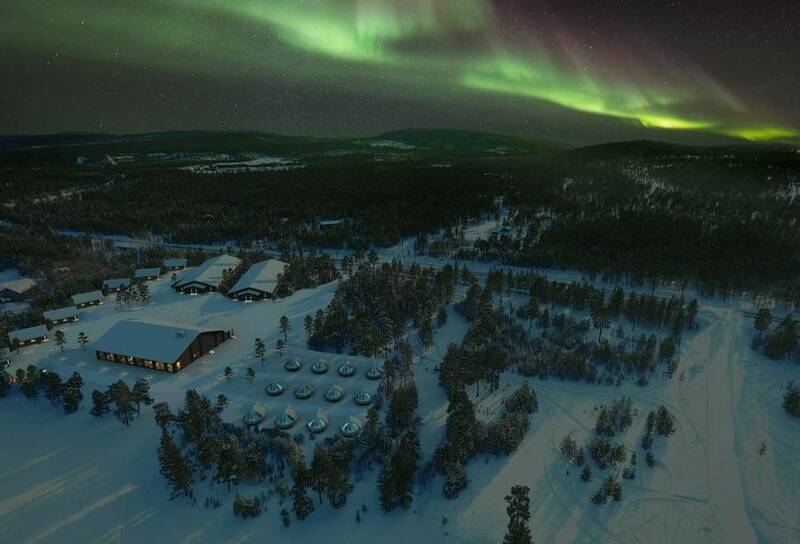 The hotel’s position amongst the pristine nature of Inari makes it ideal for an array of winter activities. 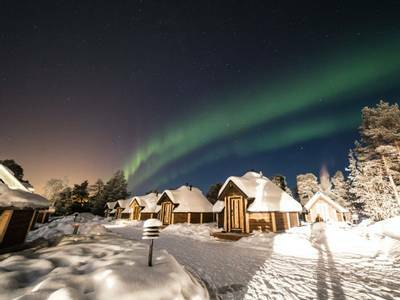 Snowmobiling, snowshoeing, a husky safari and a reindeer farm visit, are all on the agenda, adding a variety of action, adventure, and culture to your daytime activities. 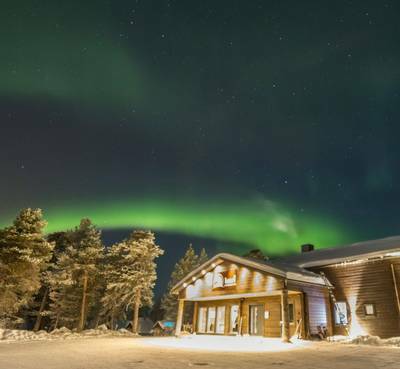 During the evenings, you will enjoy New Year celebrations and two dedicated Northern Lights excursions. 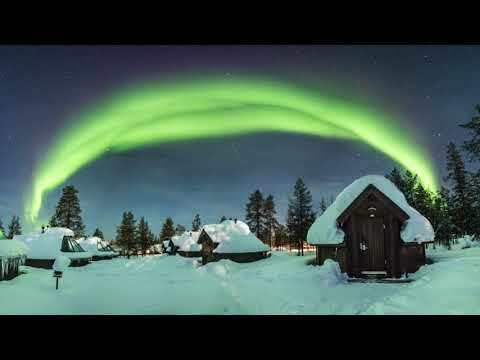 One of the hunts sees you exploring by snowmobile, and for the other we have included the chance for you to use the mobility of a vehicle to hunt the Aurora. 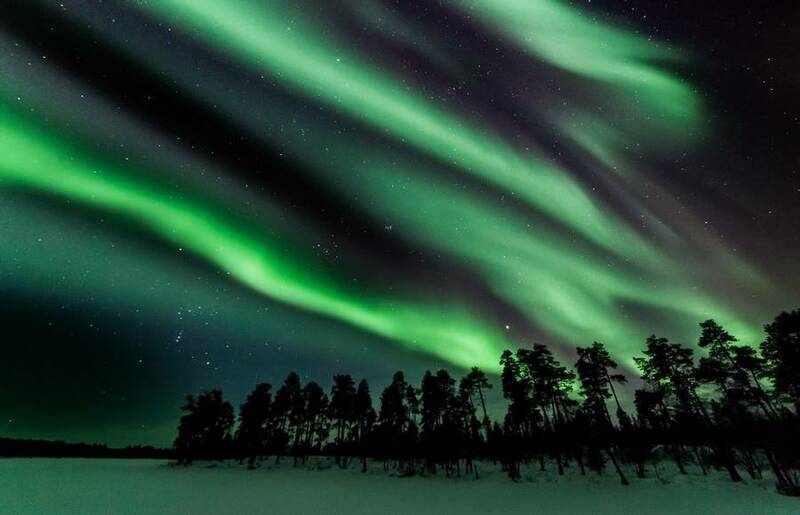 Throughout, your guide will use the latest Aurora and weather forecasts to try and find the best views of the night sky. 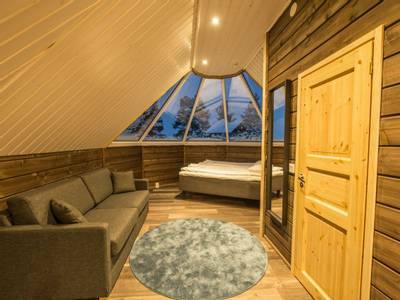 You can also choose to upgrade from hotel rooms to elegant Aurora cabins with glass thermal roofs that ensure clarity even at the lowest temperatures. 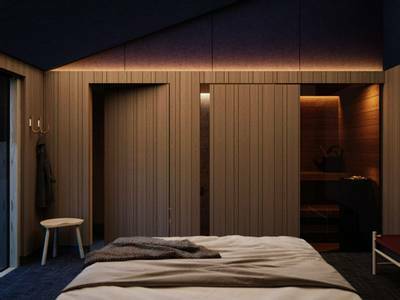 This way, you can admire the Arctic sky at all times, and hopefully, view the Northern Lights from the comfort of your bed (supplements apply for upgrades). 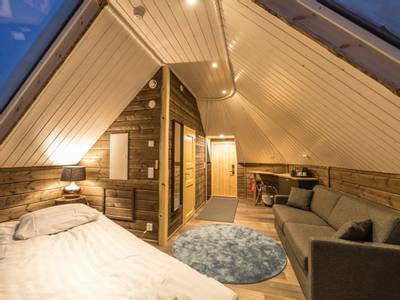 An innovative Aurora alert system is in operation here each night until around 1 am and we include this for our guests as an Aurora hunting aid. 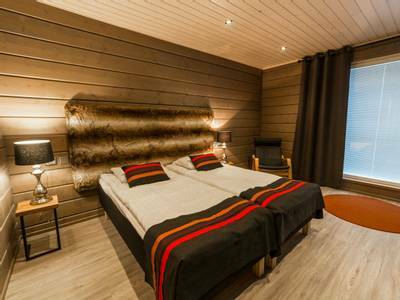 Upon arrival at Ivalo Airport, your driver will be waiting to take you to Wilderness Hotel Inari. This transfer will take around 40 minutes in total. 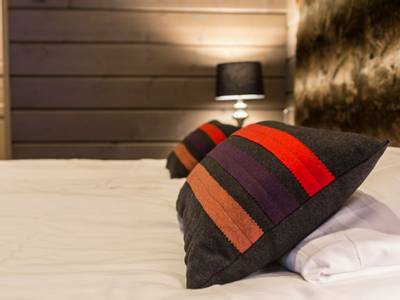 When you reach the hotel, you’ll check in to your cosy new home and have some time to settle in. You will also be provided with your final agenda (the order of activities listed here is subject to change). Your first delicious dinner will be served in the hotel restaurant. 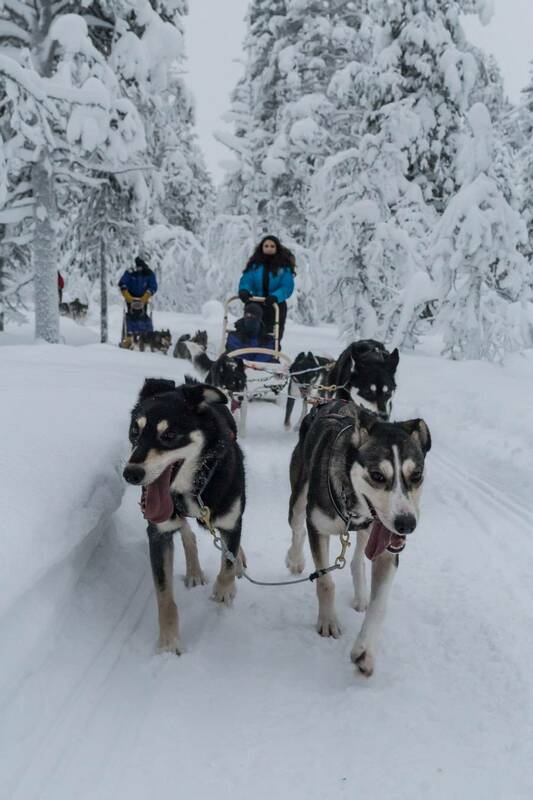 Today, another fantastic activity is on the cards as you experience the thrills of dog sledding. 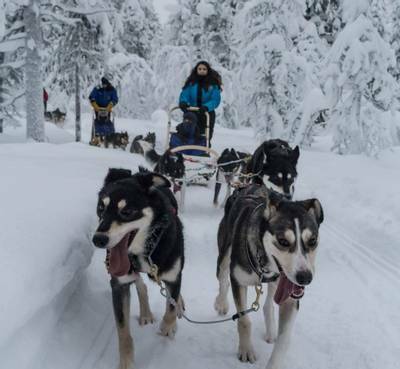 You will typically meet your eager team of dogs on the ice of Lake Inari, a short walk from the hotel. You will hear them long before you can see them as they will be so excited for the trails! Prior to setting off you will be given a full briefing on how to handle a sled and control the team. Once everyone is comfortable, you will head out, two people per sled, on a fantastic safari. As soon as you begin your journey, the sudden silence is almost surreal, as the dogs are far too concentrated to make a sound. 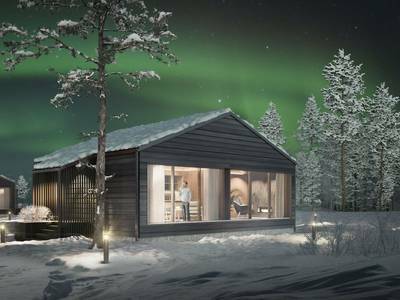 All that you will hear is their paws and the sledge brushing against the snow, while you take this time to absorb the surrounding views. At the end of your trip, you will have the chance to spend some time with the dogs and ask questions of your guides. This is a great time to stroke and play with the huskies, as they will be much calmer after their run. This activity will last for around 1.5 to 2 hours overall. Lunch will be served either before or after the activity at the hotel. This evening a special celebratory meal will be served at the hotel and the New Year festivities will get underway. 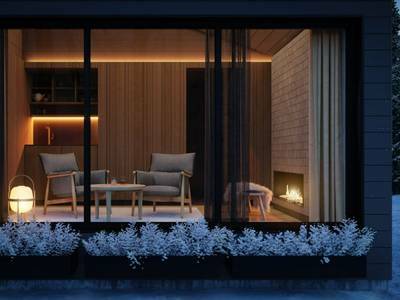 Later, guests may take a glass of something down to the shore and admire the frosty night, looking out for a potential Northern Lights display to end the year, on a high. 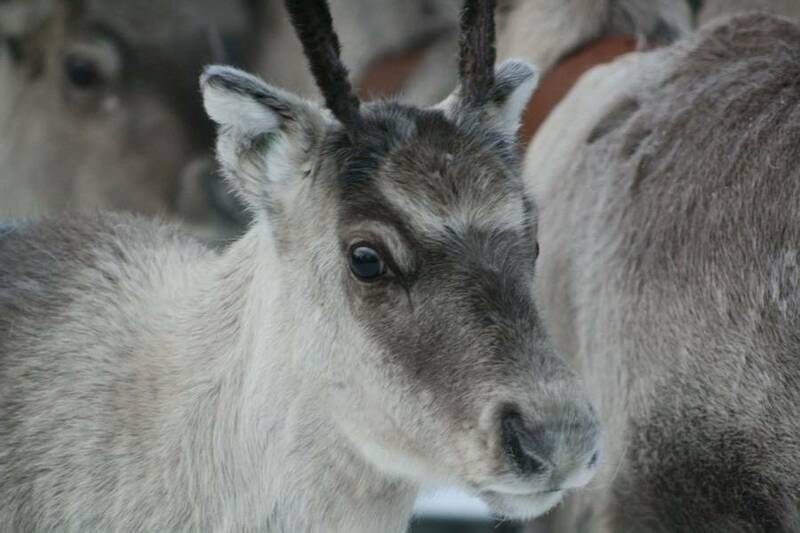 Today you will travel by car to a local reindeer farm. On arrival, the herder will greet you and they will provide an insight into this age-old way of life. 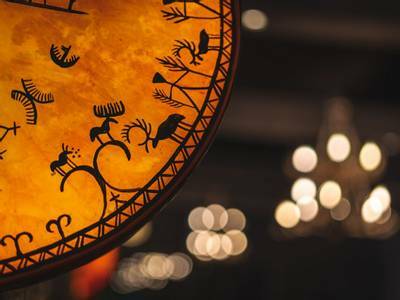 This is a fascinating insight into the traditions of Lapland and will highlight the importance of the animals to the region. 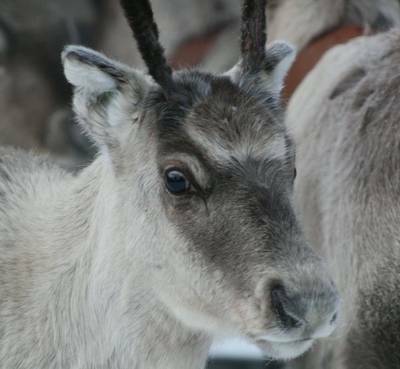 There will, of course, be time for you to get close to the reindeer and perhaps even feed them. 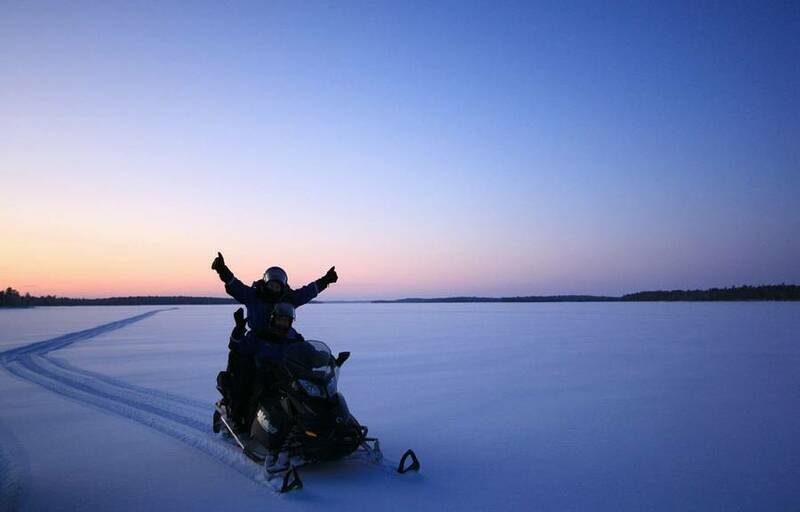 Snowmobiling is one of the most thrilling activities available and frozen Lake Inari is the perfect place to enjoy this mode of transport. You will be provided with full driving instruction and a safety briefing before you set off on your safari which will last around 4 hours. The scenery is breath-taking and snowmobiling allows you to really get a sense of the scale of this lake and the surrounding wilds. 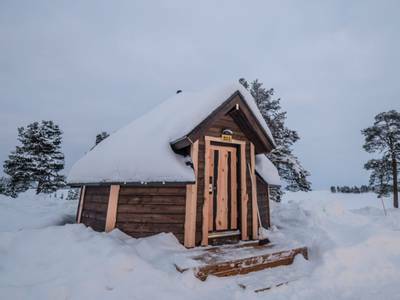 During your safari you will break to try your hand at ice fishing, one of the most popular pastimes in Lapland. 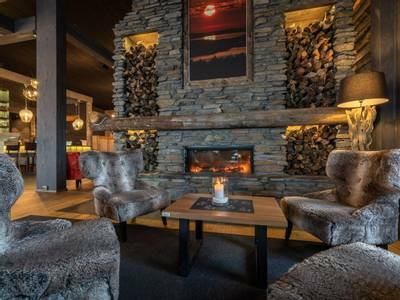 Your guide will light a fire and you’ll enjoy a warming lunch in the fresh Arctic air. 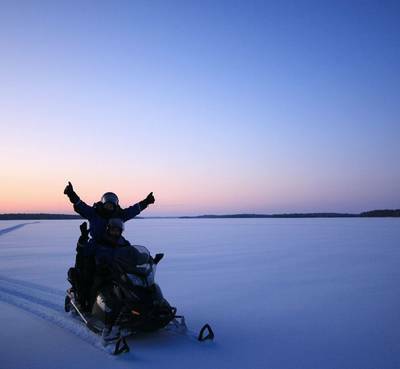 For the safari you will travel two people per snowmobile, as you try out your new skill and admire the views. Please note that you must be over 18 and hold a valid driving licence to drive a snowmobile. 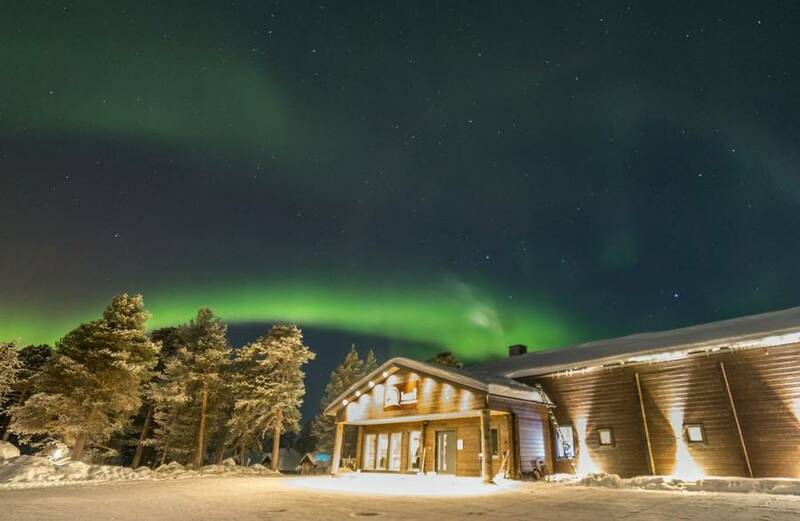 After another lovely meal at the hotel, this evening you will embark on a Northern Lights hunt by car/minibus. 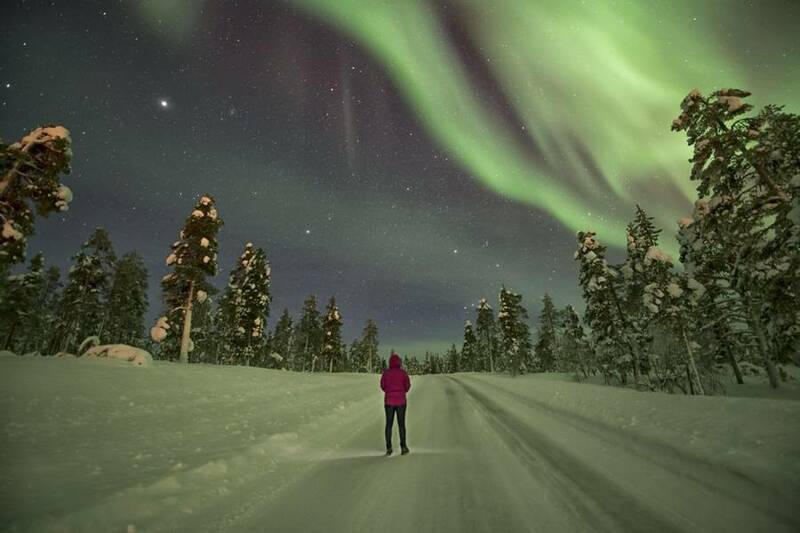 Your expert guide will lead the chase as they follow the latest Aurora and weather forecasts to try and hunt down the Aurora. The mobility provided by the vehicles will hopefully mean that you can outrun any isolated cloud cover. 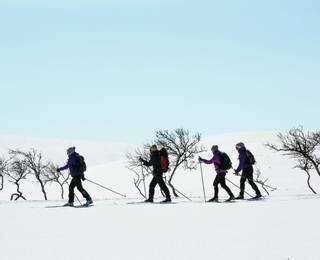 There is a change of pace today as you set off exploring on a snowshoe safari with your guide. 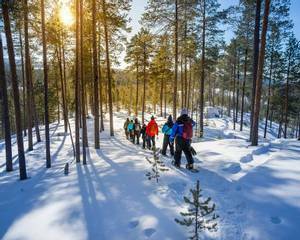 Snowshoeing provides the chance for you to really take in the peace and serenity of the Arctic wilderness. You may even catch a glimpse of some of the local flora and fauna as you travel. Lunch will be served around an open campfire (weather permitting) and you will be out for around 4 hours in total. 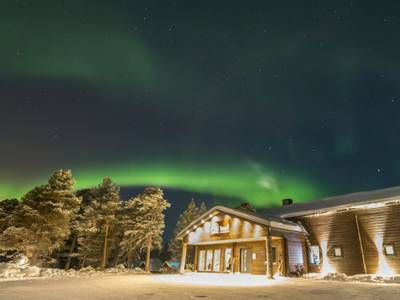 During the evening, you will enjoy dinner before setting off on your final Aurora hunt. Tonight, you will be back on snowmobiles and following your guide on the trails, searching for the best views of the skies. The darkness makes this a very different snowmobiling experience and although the pace will be slower, it remains very exciting as you anticipate a possible sighting of the lights. Full instructions and a safety briefing will be provided once again for you at the start of the safari and you will be travelling two people per machine. As before, you need to be over 18 and hold a full driving licence to drive a snowmobile. Today, you must unfortunately depart and return home after a fantastic few days spent seeing in the New Year. 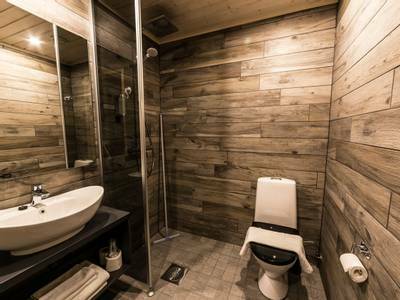 After one last breakfast, you will take your transfer to Ivalo airport, in time for your flight.